Remember last week how I said I had so many books I wanted to review? Here are four more wonderful books that I read during my trip into the revision black hole that was late April through early June. Pick up any one, and I doubt you'll be disappointed. I was so excited to read SOMETHING REAL, Heather Demetrios' debut from 2014. It's the story of Chloe Baker, born Bonnie™, who has lived almost her entire life on reality TV. Her parents' show, Baker's Dozen, chronicled every moment of her childhood—and after a few years of cancellation, it's about to go back on the air. Chloe hated the spotlight enough to change her name in an effort to become anonymous, but she's about to find herself back in front of the cameras whether she likes it or not. This book is a scathing takedown of Jon & Kate Plus 8–style reality TV, but it's also a powerful coming-of-age story as well as a sweet romance, as Chloe gets closer to Patrick, her longtime crush. Bonus: when you finish, you can dive right into THE LEXIE PROJECT, an interactive serial companion novel Demetrios is writing about Chloe's sister, Lexie! Learn more about that HERE. While I was home in Tennessee a few months ago, I read Laura Ruby's gorgeous BONE GAP. Everyone had been raving about it online, and I'm so glad I listened to the hype! 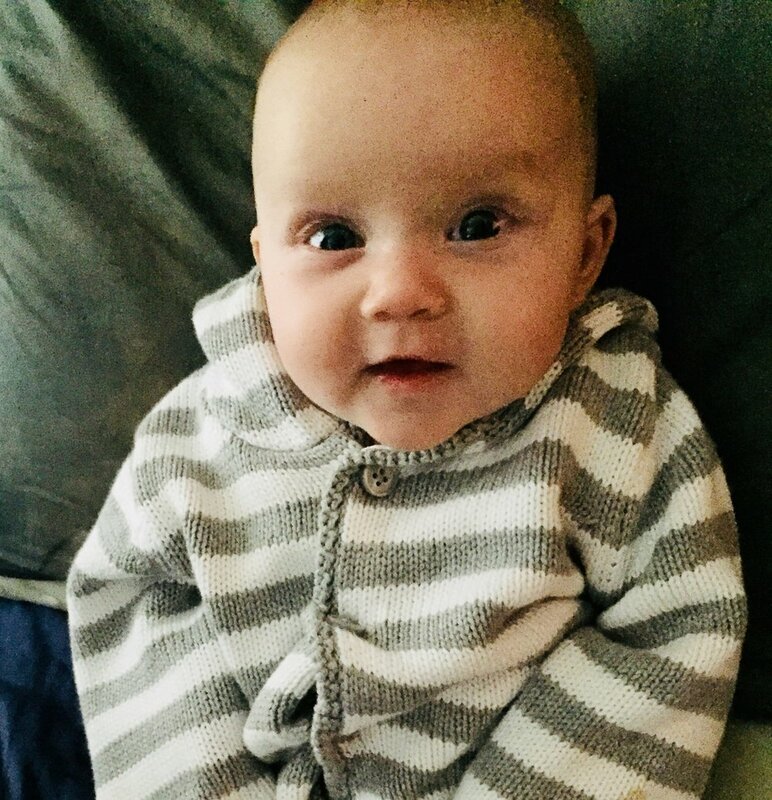 When beautiful Roza went missing, Finn was the only person who saw it happen—and since he couldn't describe the kidnapper, no one believed him. Now Finn and his older brother Sean are on their own, heartbroken for different reasons at Roza's absence. Meanwhile, Finn just might be finding new purpose and life in his friendship-and-maybe-more with Petey, a local beekeeper who think's she's ugly until Finn finds her beautiful. This book is fantasy/magical realism, and the writing is lovely and dreamlike. As the magic and the darkness unfold, you have to keep turning pages to discover what, exactly, is going on. (And it might not be what you think.) I highly recommend reading this book! 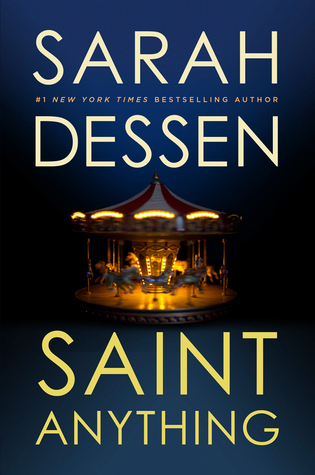 Sarah Dessen is pretty much the grande dame of YA literature, and her 12th book, SAINT ANYTHING, just came out in May. (Side note: I can only dream of a point in my career where I have 12 published books!!) This is one of my favorite Dessen books. It's about Sydney, whose older brother Peyton has always been the center of attention—lately for all the wrong reasons. Now Peyton's in prison after a drunk-driving hit-and-run that left a boy paralyzed, and Sydney's parents can't focus on anything other than their incarcerated son. After transferring schools, Sydney meets the Chathams, a family that's everything hers isn't: warm, enthusiastic, and loving. Thanks to her new friend, Layla, and a new crush, Layla's brother Mac, Sydney starts to feel like the world isn't such a bad place, after all. While Sydney and Mac were adorable, I loved how much focus in this book was put on family relationships, as well. A must-read for YA fans! Finally, I'm so glad I picked up Katherine Locke's SECOND POSITION, about two dancers who reunite several years after tragedy tore them apart. Yes, I gravitated toward this book because it's about ballet, and while I'm working on my dancer-centric second book, I'm trying to stay in that world. But I'd also heard amazing things online—and they were true. Zed and Aly were best friends who'd just become something more when they were in a car accident, which caused Zed to lose his leg and put Aly on the path to a devastating breakdown. At the start of the book, they see each other in a coffee shop. 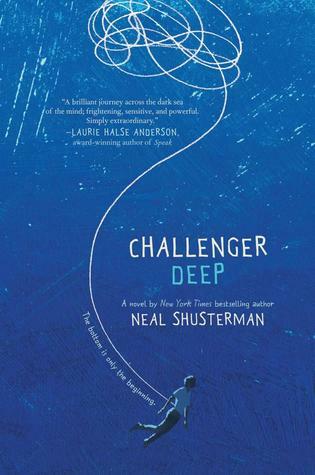 Zed's now teaching at a performing arts school in DC, and Aly's on a leave of absence from ballet while she deals with a serious eating disorder. The chapters alternate between their points of view, filling in their backstory and exploring their anxieties about rekindling what they lost. This is a story about two broken people deciding if they can make each other whole—if they should even try. It handles tough psychological issues beautifully. Definitely check it out! Read anything good lately? Let me know in the comments! I fell in love with the title of Kelly Jones's middle-grade debut the moment I heard it: UNUSUAL CHICKENS FOR THE EXCEPTIONAL POULTRY FARMER. Then I fell in love with the cover—look at that grouchy chicken at the top! And when the ARC arrived in my mailbox on its tour, I was excited to fall in love with the words, too. When 12-year-old Sophie Brown moves with her parents from Los Angeles to a farm in the middle of nowhere, she finds herself caring for a chicken, which she names Henrietta. But Henrietta isn't an ordinary chicken—she can move things with her mind! And she's only the first of Sophie's great-uncle's missing chickens to show up and wreak havoc. Sophie has to adapt to small-town life while protecting her inherited flock from a nefarious chicken-napper. This book is charming and funny—text and illustrations—and I would recommend it to city kids, country kids, kids at heart…anyone who enjoys a good story. I also got to read Cordelia Jensen's beautiful and heartbreaking SKYSCRAPING this week. In fact, I raced through it in one day. This powerful novel-in-verse depicts a year in the life of Mira, a high school senior who thinks she has it all together. Then she learns a family secret that changes everything. She tries to distance herself from her family, but her father's health crisis brings her back. Novels-in-verse have to make every word count, and Jensen does just that. The writing is spare, raw, and elegantly crafted. And yes, I cried at the end. (I also loved the 1990s New York City setting—so cool to see my city through a native teen's eyes a decade before I moved here!) This book releases next June, so if you're a fan of honest, sad, and ultimately uplifting stories, put it on your calendar now.